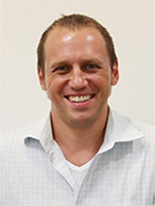 Dan Burge has worked as an English Instructor in mostly tertiary and adult education for the last 10 years. Before teaching at Baptist University, he worked for a few years at The University of Macau. Coordinator of the 17th English Speaking Contest, held on the 18th of April, 2019, by The Language Centre at The Hong Kong Baptist University. Coordinator of the 16th English Speaking Contest, held on the 12th of April, 2018, by The Language Centre at The Hong Kong Baptist University. Coordinator of the 15th English Speaking Contest, held on the 3rd of April, 2017, by The Language Centre at The Hong Kong Baptist University. Coordinator of Credit bearing course, Comprehension of Modern Spoken English: Culture and Context (LANG2046). Burge, D.J. (2017). Presented a paper entitled “Comprehension of Implied Meaning”. Presentation at the HKBU Language Centre English Teaching Development Seminar, Hong Kong, China on the 5th of December, 2017. Burge, D. J. (2019). Presented a paper entitled “The Monologue Technique: a Pedagogical Tool for Fluency Performance in a University English Speaking Competition”. Presentation at the Chinese University of Hong Kong English Language Teaching Unit Conference: Alternative approaches to English Language Learning and Teaching, Hong Kong, China. Burge, D.J. (2018). Presented a paper entitled “Comprehending Implied Meaning through Culture and Context”. Presentation at the Education University of Hong Kong International Conference on English Language Education in the Chinese Context, Hong Kong, China. Presentation at the Hong Kong Polytechnic University International Conference on ESP, new technologies and digital learning, Hong Kong, China. Burge, D.J. (2016). Presented a paper entitled “Intensive Grammar”. Presentation at the Hong Kong Polytechnic University 11th ISTETL International Symposium on Teaching English at Tertiary Level: Rethinking ELT in Higher Education, Hong Kong, China. Burge, D.J. (2015). Presented a paper entitled “Native English Teachers using Basic Cantonese in ESL Classrooms”. Presentation at the University of Macau ELC English Language Teaching International Conference, Macau, China. Burge, D.J. (2014). Presented a paper entitled “Learning English outside the classroom through activities”.